I love throwing on a cozy knit for a day of running errands or simply lounging around the house. The intricate, woven detail of this sweater is absolutely beautiful and I love the light shade of grey. One Grey Day is currently offering a 20% discount exclusively to For All Things Lovely readers with code LOVELY20. you look amazing!!!! perfect match! I love, love, love this sweater! The weave is so cool! 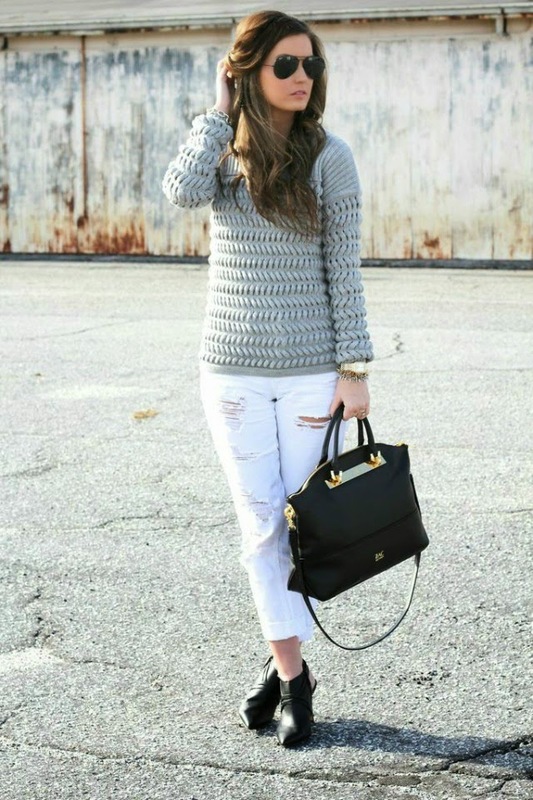 I keep seeing so many bloggers wear white pants this winter and I'm loving it! I've been scared to wear them, but I like that you paired it with a chunky gray sweater. Love those ripped jeans! White jeans in winter are so cute!